Seyana Safety Policy is to fully recognize the importance of safety, health, welfare and morale of all its employees by ensuring a safe and healthy working environment at all times. To provide a safe and healthy workplace and to avoid any damage to the environment. To establish safe and environmentally friendly work practices. To comply with all statutory regulations concerning health, safety and environment. To provide safe equipment, materials and tools to work with. 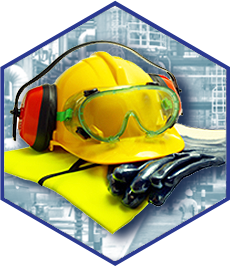 To provide training to all employees enabling them to work safely and to avoid injuries to the workers and environment. To provide and maintain procedures for dealing with emergencies at the work place. To develop and maintain a high degree of safety and environment protection awareness amongst the staff. To maintain an effective system of joint consultations between staff and management on health, safety and environment issues. To provide adequate funding for health and safety measures. Company management will establish safety and job skill objectives each year. Objectives will be advised to all employees within the company.